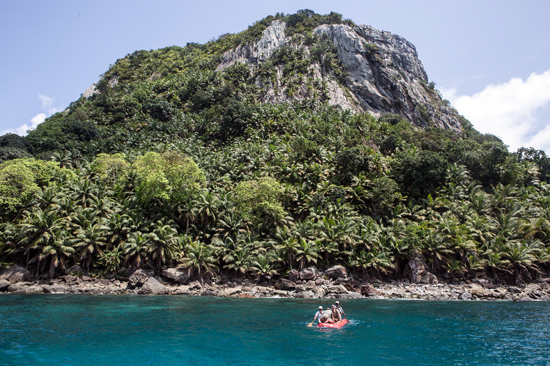 It is a fundamental tenet of the science of island biogeography that more different species of plants and animals will be found on larger islands than on smaller ones. When we say “larger” in this regard, we really mean surface area. Note that in the graphic illustration below right, both islands have the exactly the same circumference, but the lower island has a mountain in the middle of it which markedly increases any measure of its overall surface area. The greater (and more varied) the surface area, the larger the number of niches for living organisms; hence with time and evolution there will be more living plants on animals on larger islands than smaller (above left). For “niches”, think of “jobs”; every living thing has a three-part job: 1. where it does what it does (spatial niche); when it does what it does (temporal niche) and how it gets its energy (trophic niche). No two living things can overlap on all three and coexist, hence size (area) matters! 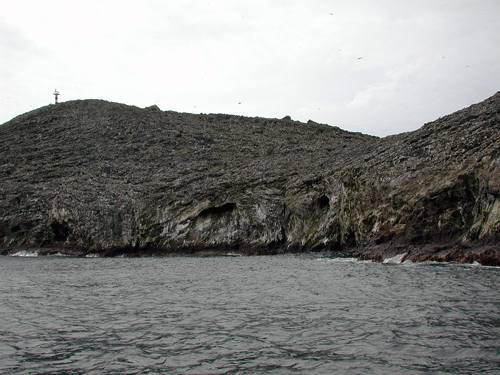 There are other factors of course, such as geological age and island distance from source, that affect the numbers and characteristics of species found on islands. New tree frog (Hyperolius) species from Principe Id. A. Stanbridge phot– GG VII. African dragonfly. ARKive phot. Google Images. The island area effect is even more convincing when the entire archipelago of four islands is included, from the largest (Bioko) to the smallest (Annobón). 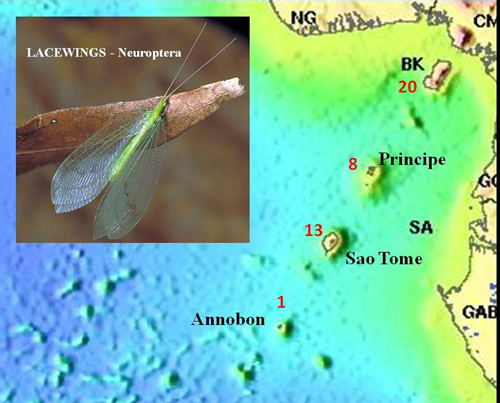 Lacewing distribution in Gulf of Guinea. Dong Lin phot. GG I; RCD construct. As one can see, there is an obvious correlation between island size and the number of lacewings present; however in this case it is also important to note that while Bioko is clearly the largest island, it is also geologically youngest and closest to the mainland, having been attached to the mainland multiple times during the Pleistocene. Such factors can have an important effect on these comparisons. While these correlations prove correct over and over again. However this does not mean that very small islands cannot house wonderful biological surprises, and we are learning that this is true in the Gulf of Guinea. 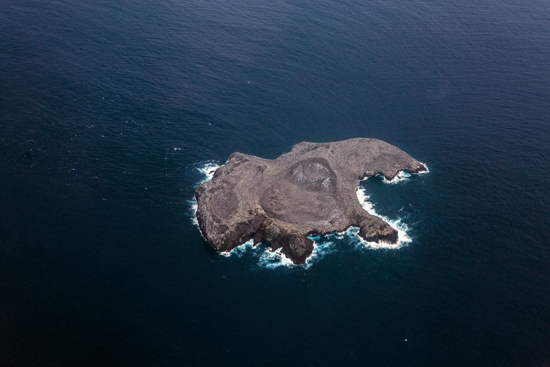 Above is the Jockey’s Bonnet (or Ilha Caroço) so named for its obvious shape. This large rock is only about 3.5 km off the southeast shore of Príncipe, only 35 hectares in area but perhaps 100 m in height. It was undoubtedly once part of the main island, which readers will recall dates back to the Oligocene Epoch, so it is probably quite old geologically. Although small, the Jockey’s Bonnet houses at least two very intriguing species. The population of native oil palms (Elaeis guineensis) on the western shores of this tiny island have obviously been there for a long time as they have begun to accumulate change from the parent species on the main Island, but a few km away! 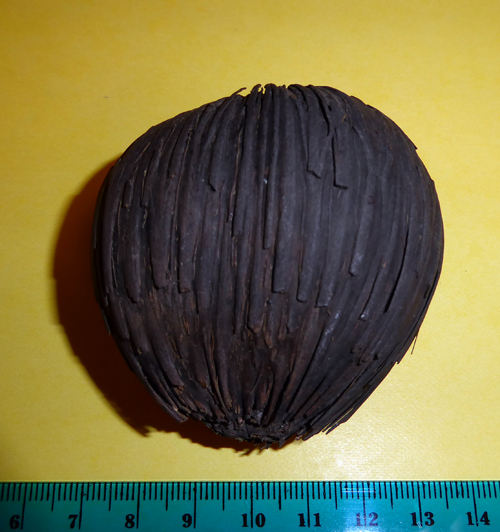 While still clearly the same species, the Jockey’s Bonnet palms bear seeds (fruit) that is at least twice the size of the palms on Príncipe and São Tomé. 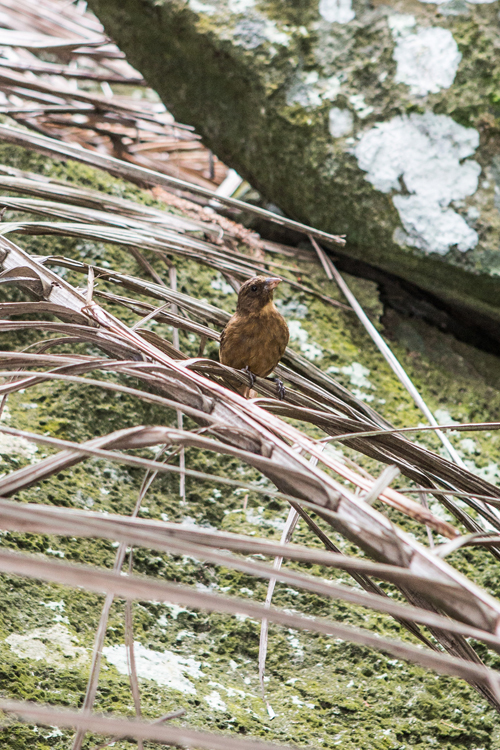 For bird lovers, an even more exciting occurrence on the Jockey’s Bonnet is that of the Bonnet Seed-eater, a small brown passerine bird noticeably different from its relatives only a few kilometers away on Príncipe! These unique birds are heavier, have longer, broader bills and shorter wings than their island neighbors and have been shown to be genetically distinct from them. They are extremely common (some 3,500 individuals at last estimate) and live exclusively in the oil palm forest pictured above. They have a specialized diet of palm oil and palm pollen, and it is tempting to speculate that there might be some relationship driving the evolution of the palms and the birds. Isolation and evolutionary change within a population of birds separated from their nearest relatives by only 3 km may well seem counter-intuitive; after all, don’t birds fly? The answer is yes they do, but they don’t need to, they often don’t, at least not long distances! Flying is energetically expensive; if the habitat is relatively stable, suitable for survival and reproduction, why leave it? In spite of their ability to fly, most bird species tend to remain in specific kinds of habitats and areas. This is called philopatry. Far to the south of Príncipe (ca. 20 km.) 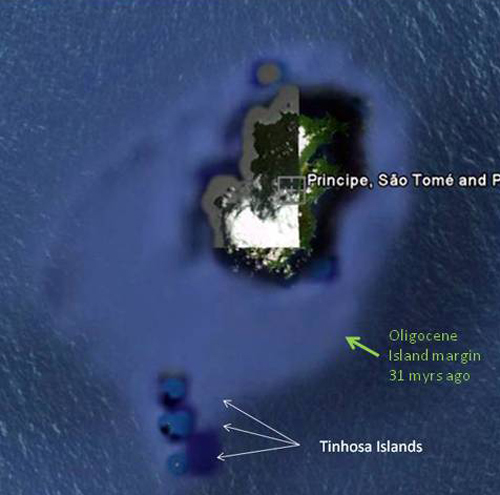 is a fascinating group of small islands known as the Tinhosas. The largest of these is Tinhosa grande (above) with a surface area of but 20.5 ha. Geologically the Tinhosas are of great interest because they mark the southernmost limit of the Oligocene Príncipe of over 31 million years ago. 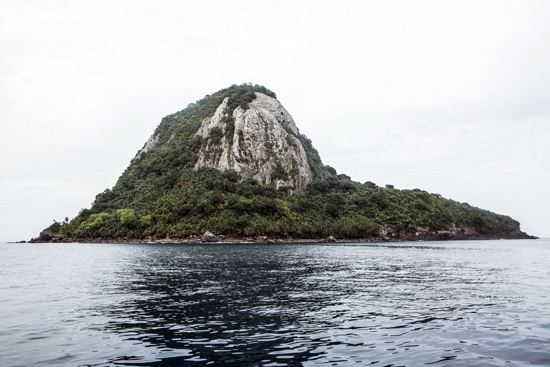 As we have noted in earlier blogs, Príncipe was once much, much larger but through millions of years of weathering, largely from the southwest, all that remains are the Tinhosas and Príncipe, along with its other islets. 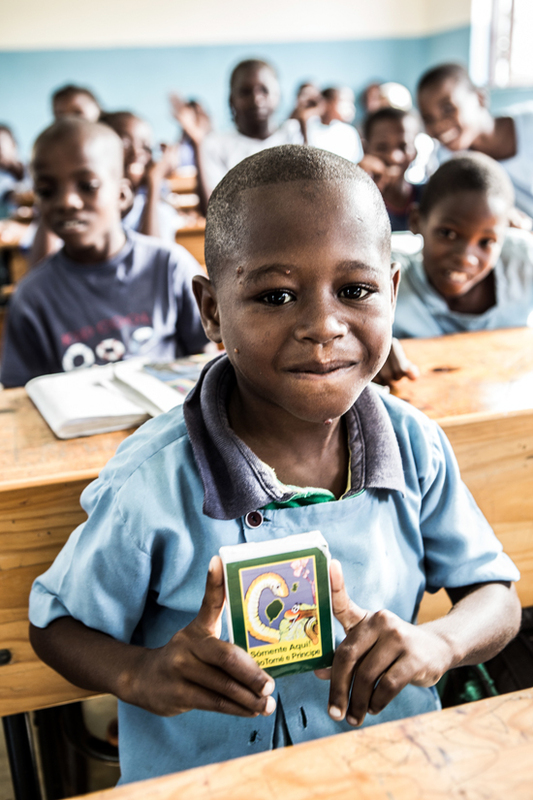 And again, Principe is twice as old as São Tomé. The Tinhosas are important rookeries for some sea birds such as Brown and Black Noddys, the Sooty Tern and Brown Booby and are recognized by Birdlife International as Wetlands of International Importance and official Waterfowl Habitat. 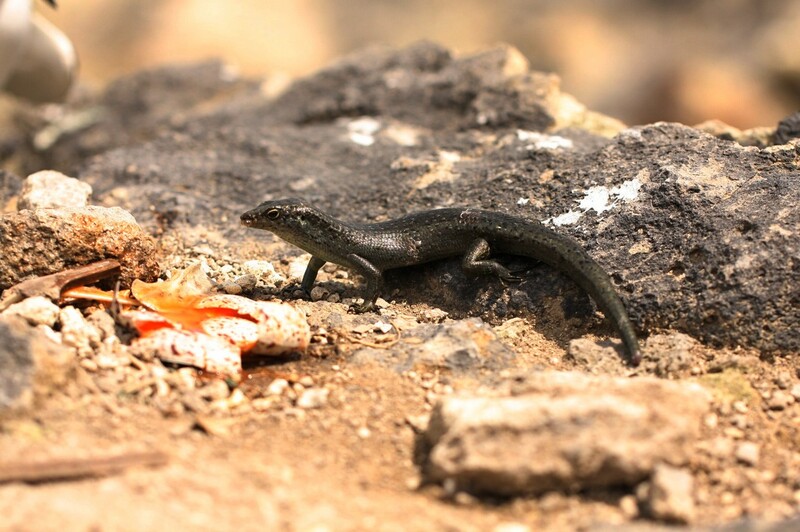 Tinhosa Grande is also inhabited by at least two different kinds of lizards, a skink species and a gecko species. These were observed and photographed by members of a recent ornithological expedition but specimens were not collected. Our colleague, Dr. Luis Ceriaco, of the Natural History Museum in Lisbon discovered that some of these skinks had been collected by a Portuguese expedition and deposited in that museum 45 years ago. 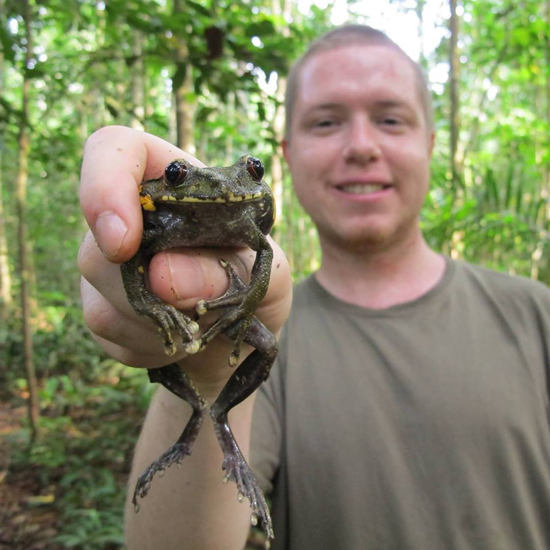 Dr. Luis Ceriaco with Principe giant tree frog.. phot from Facebook. After analysis, Luis discovered that the Tinhosa Grande specimens represented a new species which he has described as Trachylepis adamastor. It is a very large skink differing from its nearest relatives in size, scales and coloration. Tinhosa skink. (Trachylepis). Ross Wanless phot. 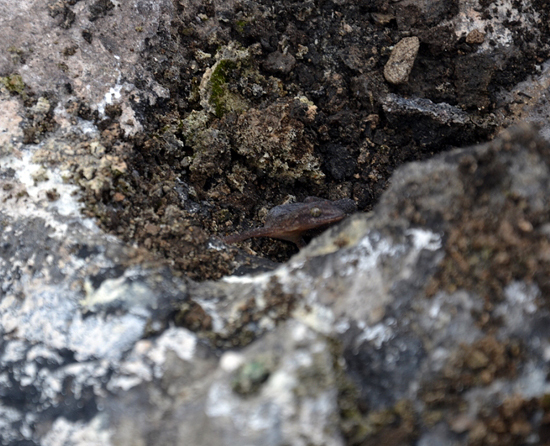 Members of the more recent bird expedition reported to Ceriaco that that the population of these skinks seemed very dense, and Ceriaco later speculated that there might be a trophic relationship between the numerous skinks and the nesting birds. 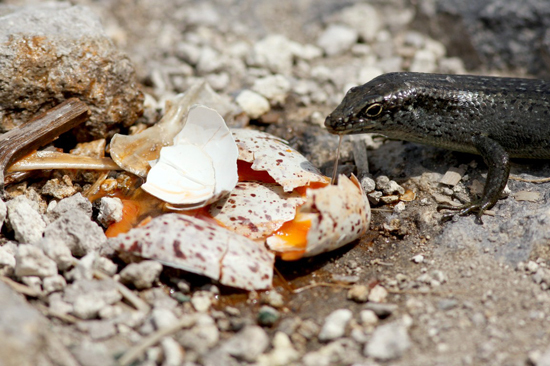 Notice above that the skink is feeding on a recently broken egg (this photo appeared in the paper by L. Cericaco). Such relationships are not unknown. Cousin Island of the Seychelles Archipelago in the Indian Ocean exhibits a strikingly similar situation that has been well-studied. 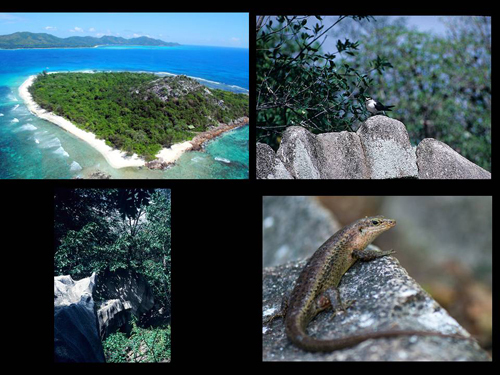 This small island of 27 hectares supports enormous populations of two species of skinks: Mabuya wrighti, which is large, and Mabuya seychellensis, which is smaller. Studies revealed that in 1979 there were approximately 1,713 individual skinks per hectare, and that these were supported directly by nesting terns (60,000 pairs of Lesser Noddy terns alone) through broken eggs, feces and dropped fish. Such a situation may well exist on Tinhosa Grande. The Tinhosa gecko remains a mystery. We have no examples of it and cannot examine its morphology or molecular relationships. Tinhosa gecko. (Hemidactylus sp.) Photos by Nuno Barros, courtesy, Birdlife Int. 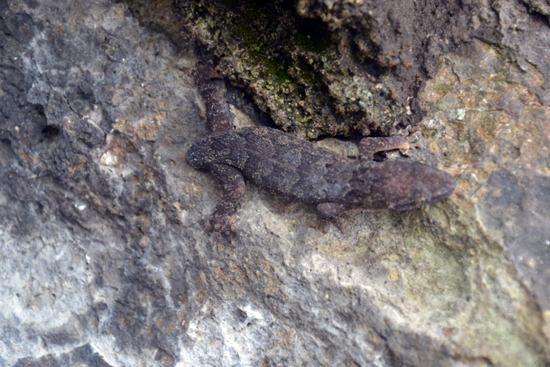 The photos are not of sufficient quality to determine whether this gecko is related to one of the unique island species (H. principensis, H. greeffii) or is a more widespread species. We are preparing for GG IX in September. More anon. 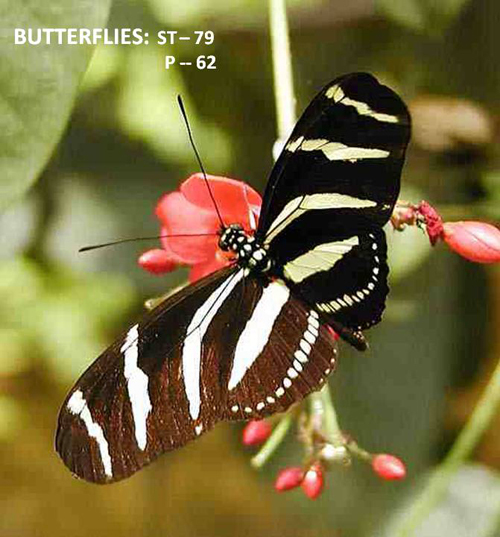 Author islandbiodiversityracePosted on August 4, 2015 Categories amphibians, Biodiversity, biogeography, birds, conservation, education, flowers, frogs, geckos, Gulf of Guinea, Hemidactylus, insects, Island endemics, lizards, principe, Sao Tome, UncategorizedLeave a comment on The RACE: SIZE MATTERS!